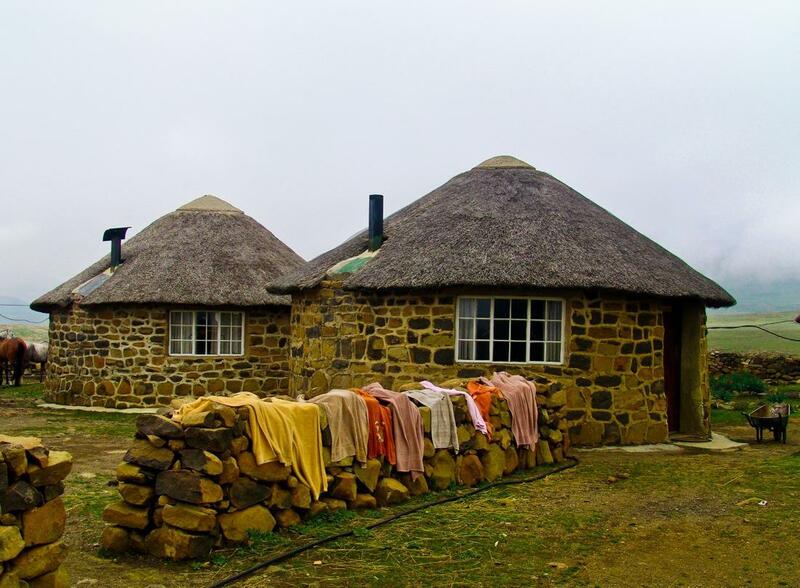 At the end of the Sani Pass, the steep and winding road connecting South Africa and Lesotho, the first view is on this traditional Lesotho huts part of Sani Top Chalet, the highest pub in Africa at 2874m. Breathtaking and somehow surreal. Great photo! I love how the clothes have to air dry on the stone wall!